A simple-diy-lover should start with basic pop up card designs like this. Not to mention, you can use the basic technique in this Pop up card tutorial for an endless amount of different pop-up cards. For starter, there’s no need to rush right into intricate, complicated folding and glueing techniques. 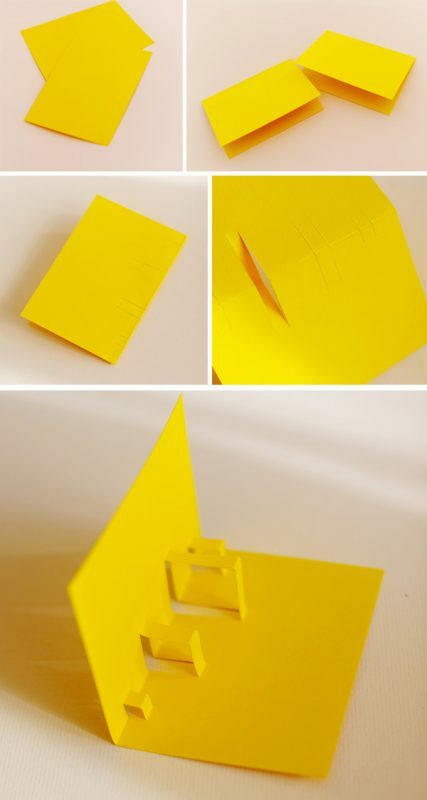 A simple-diy-lover should start with basic pop up card designs like this. Not to mention, you can use the basic technique in this Pop up card tutorial for an endless amount of different pop-up cards. Start with a simple sheet and fold it in half. Then cut parallel lines (in pairs of the same length) into the middle fold as shown in the picture. The cuts should be of max half the length of the card (otherwise they’ll stand out when you close it). Push the flaps forward until your card looks like in the bottom picture. Now start crafting the details and pieces to display in your card. You can make some balloons and a Good Luck sign like these ones. Stick these with paper glue onto the front (not the top) part of the folded out flaps. Now when you close your card, it’ll look like in the bottom left picture. Just take a 2nd card and glue it on to cover the outside. Stick some more balloons, or whatever it is you’re crafting, onto the flaps and voilà – you’re done. You could still add a background to the top and bottom halves. Stick on some clouds in the top part, some grass in the lower one for example. This entry was posted in Pop up cards -Blog Charmpop and tagged Pop up card tutorial. 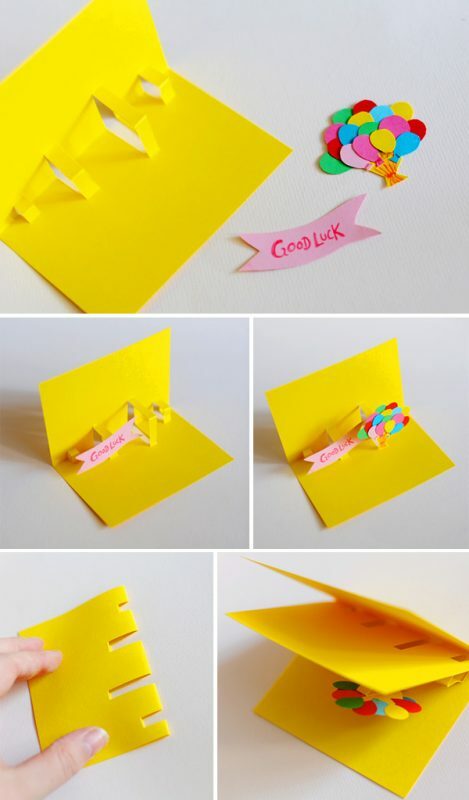 Hey Buddy!, I found this information for you: "Pop up card tutorial- Good luck 3D card". 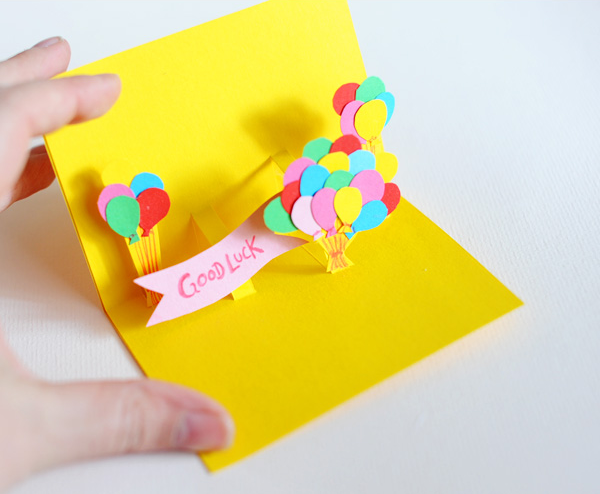 Here is the website link: https://charmpopcards.com/pop-card-tutorial-good-luck-3d-card.html. Thank you.